Rocket attacks "reduced…to near zero"
(IsraelNN.com) An “improved” Grad rocket struck an Ashkelon school Saturday morning, returning Israel to the days before the Cast Lead operation that was carried out to end the terrorist strikes. The rocket caused extensive damage and forced the hospitalization of several people in the area for trauma. Although American msm won’t tell you, these rocket attacks are a daily occurrence in Israel. Yes, DAILY!!! And really, why not? The Hamas have no incentive to stop, since Operation Cast Lead was halted, and the rest of us continue to mouth meaningless platitudes; MORE money is funnelled into the terrorist thugs in Gaza, who continue to import weaponry through the tunnels. It truly IS a miracle that no children were killed in this latest attack. But I believe that when that does happen, we will ALL have the blood of innocent Israelis on our hands. I have no idea what it will take for our governments to wake up, and tell Hamas “not one dime more, until you stop attacking the innocent victims of Israel. ” Since the Obama administration came in, there has been a sea change in the US policy towards Israel, and yes, billions more dollars handed over to the Hamas. History has proved Hamas have no intention of using any of that money to rebuild, just as they have allowed Gaza to sink into a pile of rubble – despite millions in “aid” already given to them. And as I write that? I hear of the conference being held where US, Canada etc are debating how to get more “aid” money into Gaza. No -it is long past time to say “Stop it! ENOUGH!” and quit aiding terrorists. 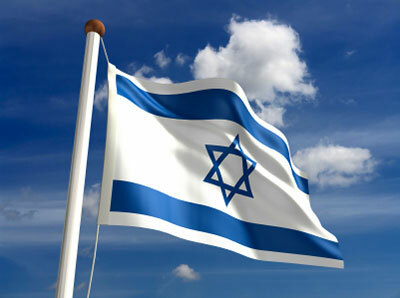 And yes, I am unabashedly PRO-Israel as one commenter recently posted here on this site. Just as I am ANTI any terrorist group who seeks to eradicate any other legitimate citizenry. You can read the rest of this latest article here. Filed under: Rockets hit Ashkelon school |	Comments Off on Rocket attacks "reduced…to near zero"